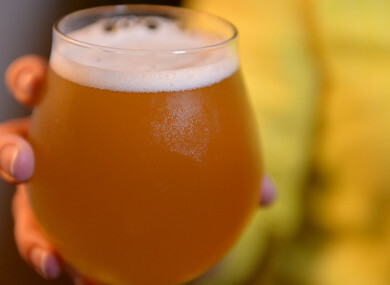 THE CABINET HAS approved amendments to a law that will allow craft breweries sell drink on-site. The Intoxicating Liquor (Breweries and Distilleries) Bill 2016 was first proposed by Labour’s Alan Kelly and amendments to it were approved today. The bill would allow the Revenue Commissioners approve a licence for sale of alcohol at craft breweries and distilleries between 10am and 6pm. The amendments confine the sale of liquor to visitors who have participated in and completed a tour of the premises. “I first brought forward the Intoxicating Liquor (Breweries and Distilleries) Bill 2016 back in November, as it was clear from speaking to brewers and producers that this legal anomaly was seriously hampering their ability to capitalise on the growing craft-beer tourism industry, and really deliver for their visitors. Could you even imagine a situation existing in Italy, France or Spain, where tourists visiting vineyards are prevented from purchasing wine at the end of their tour? Minister for Justice and Equality Charlie Flanagan said that the legislation would “add to the visitor experience”. The bill will now be sent to committee stage and work its way through the Oireachtas. Email “Craft breweries will be allowed sell drink on tours under a new law”. Feedback on “Craft breweries will be allowed sell drink on tours under a new law”.